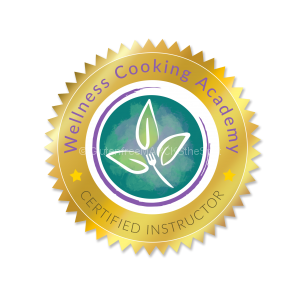 Food Allergies? Cookbooks for Inspiration! Having a food allergy can make you feel hopeless on what you should eat. Take back control by getting into the kitchen. Grab your kids, family or friends and create some delicious dishes together – food that you can all eat safely. I am constantly reading cookbooks to find new recipes, or get inspiration to create something new. With multiple allergies, my family cannot always find a recipe that is EXACTLY what we can cook. So . . . no problem, we just change it up! Swap out items you cannot eat with something you can that would still compliment the dish. 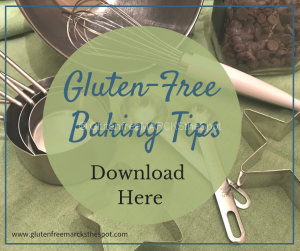 Swap out gluten-filled items with gluten-free ingredients, or dairy products with non-dairy alternatives. Get creative! You will be happy with the results – even if it takes a few tries! In the meantime, these cookbooks are full of inspiration to get me into the kitchen. Some contain recipes I follow and others have multiple ingredients we need to swap out for something that fits our needs. In the end we have delicious dishes that we all enjoy. Hope this gives you a little inspiration! 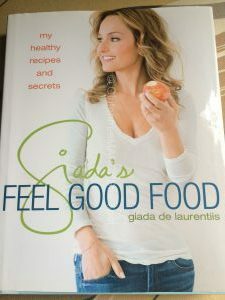 Giada has given me much inspiration over the years by watching her cooking shows. She is always creating delicious meals and treats. This book is full of mouth-watering ideas,with many that are allergy friendly. This is a wonderful gluten-free cookbook, including many ideas to use everyday. For those following dairy-free, and lower sugar recipes, you can easily cut back her portions of both and substitute where needed. Results are fabulous! I love to follow Kris Carr, a truly inspiring health activist! She always offers fabulous health advice and information that gets me motivated! 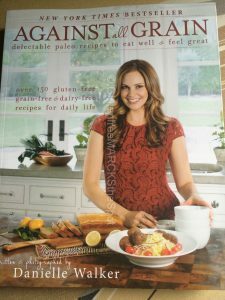 This book is absolutely fabulous and filled with scrumptious recipes to try right away! 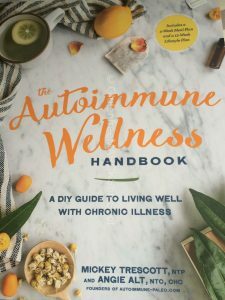 Both of these autoimmune books contain so much relevant information for those living with autoimmune diseases. If followed by the book, they can offer a true look into your issues with food allergies as they take you on an allergen approach to manage your illness. Their recipes are outstanding. 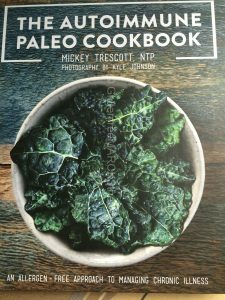 This book is full of paleo recipes – all gluten-free, grain-free and dairy-free. Great ideas to try out in your kitchen! 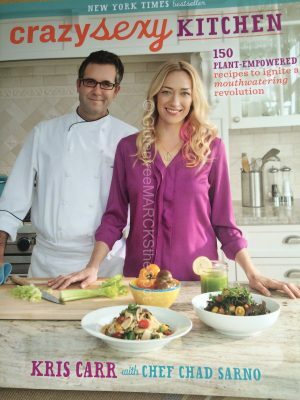 I hope these cookbooks give you inspiration to get into the kitchen and find your road to healthy! 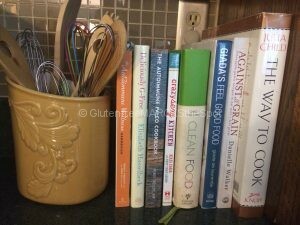 What is your favorite go-to cook book? 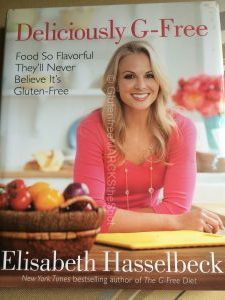 Post your favorite cookbook below in my comment section. Having trouble finding certain recipes, let me know what recipes you would like to see! 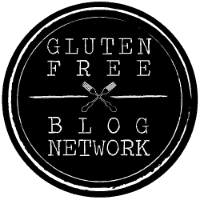 This entry was posted in Gluten Free Living, Healthy Families, Recipes and tagged cookbooks for inspiration, food allergies, get into the klitchen. Bookmark the permalink. Great advice. Most of us feel you have to follow a recipe exactly. Now we know we can change them to suit our diets. Thanks for this info.